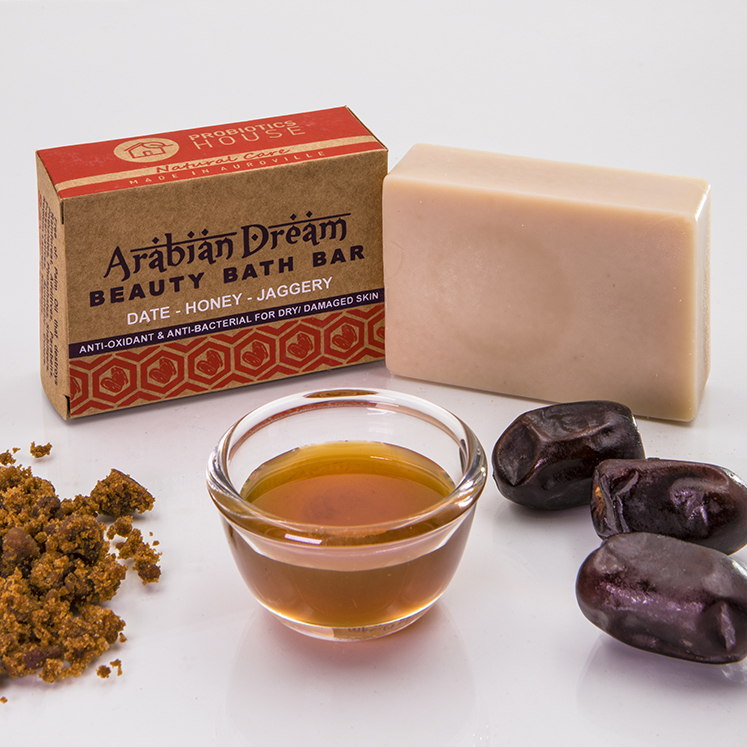 Arabian Dream – Anti-Oxidant & Anti-Bacterial / For Dry and Damaged Skin. Arabian Dream is a naturally gentle bath bar handmade in Auroville with exotic natural ingredients that are completely beneficial for the skin. This bath bar contains skin-enhancing benefits such as antioxidant compounds and antibacterial properties that are highly suitable for dry and damaged skin. Previous post: Arabian Dream – Anti-Oxidant & Anti-Bacterial / For Dry and Damaged Skin.